Bulskamp Churchyard is located 6.5 km south of Veurne on the Bulskampstraat, a road leading from the N8 connecting Ieper to Veurne. 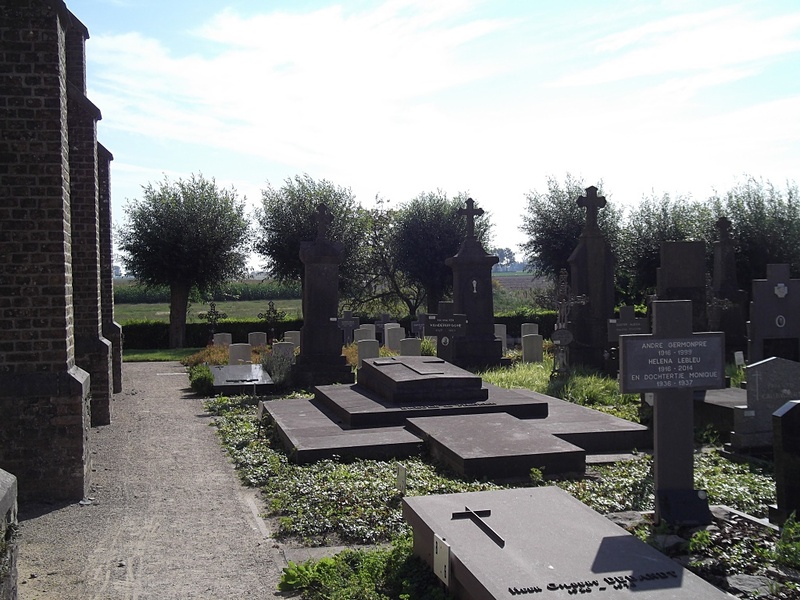 From Veurne town centre the N39 Duinkerkestraat leads for 500 metres towards Adinkerke and the junction with the N8 Europalaan. 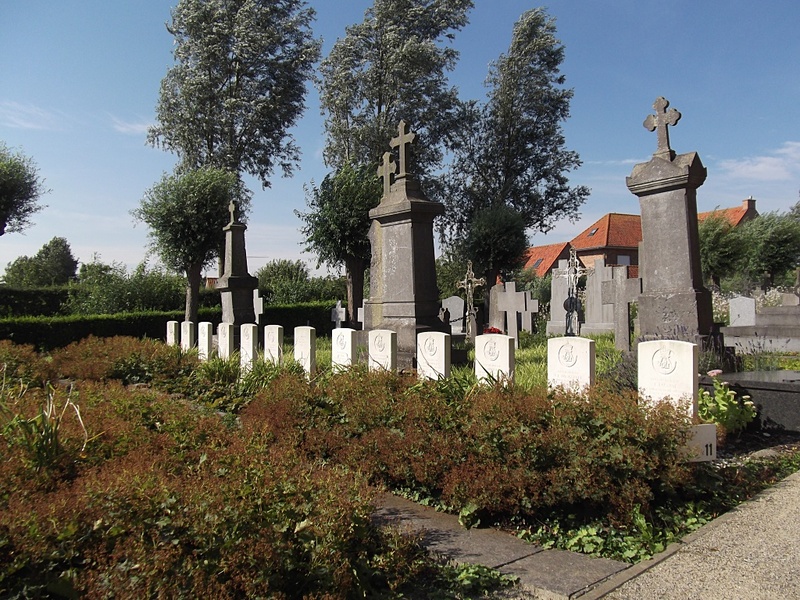 2 km after turning left onto the N8 towards Ieper lies the right hand turning onto Bulskampstraat, which leads for 3 km into the village. 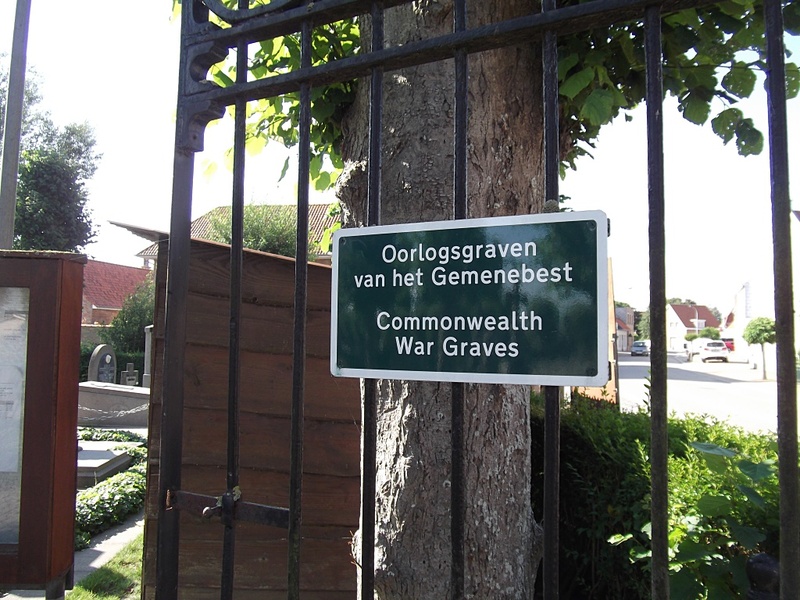 The churchyard is located on the left hand side of the Bulskampstraat in the village itself. The graves are located to the right of the church at the rear of the churchyard. 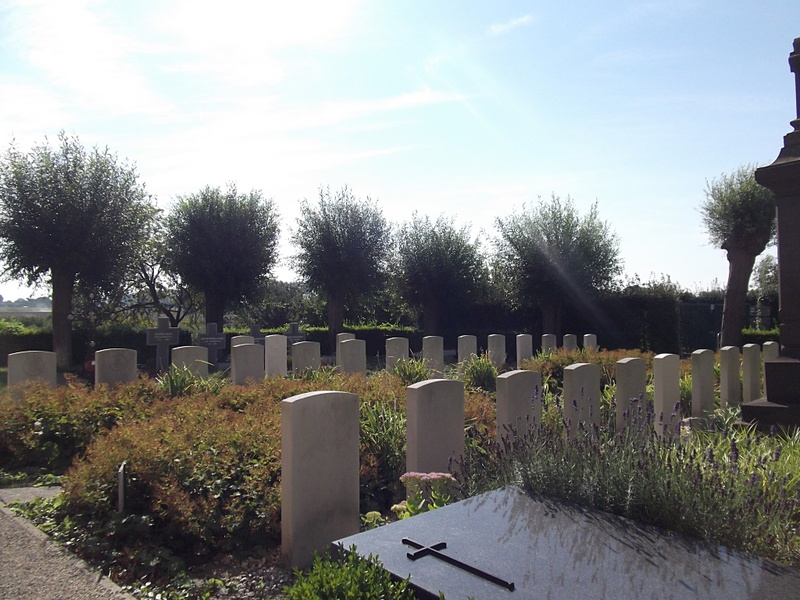 Bulskamp Churchyard contains 30 Commonwealth burials of the Second World War, four of them unidentified. 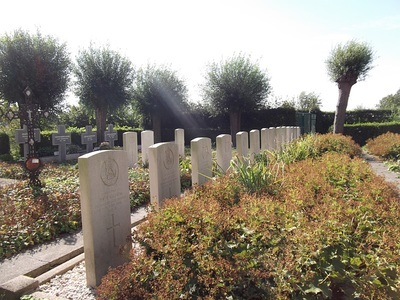 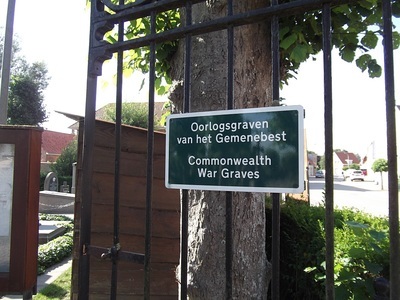 The graves were moved into the churchyard by the local authorities in September and October 1940 from their original locations on the battlefields between the Bergues canal and Ringslot waterway.